In my post, Saugatuck is Michigan’s Cap Cod (in Japanese only), I have a few photos of the big ship, SS Keewatin. The ship was on display for a long time in Douglas, Saugatuck’s next door town. 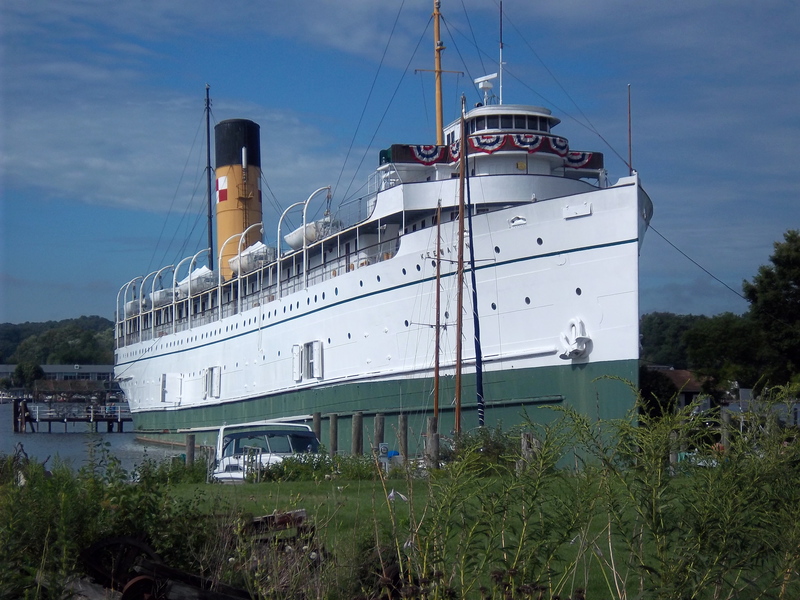 If you have been to Saugatuck, did you go see SS Keewatin? If you did not, you missed a chance. 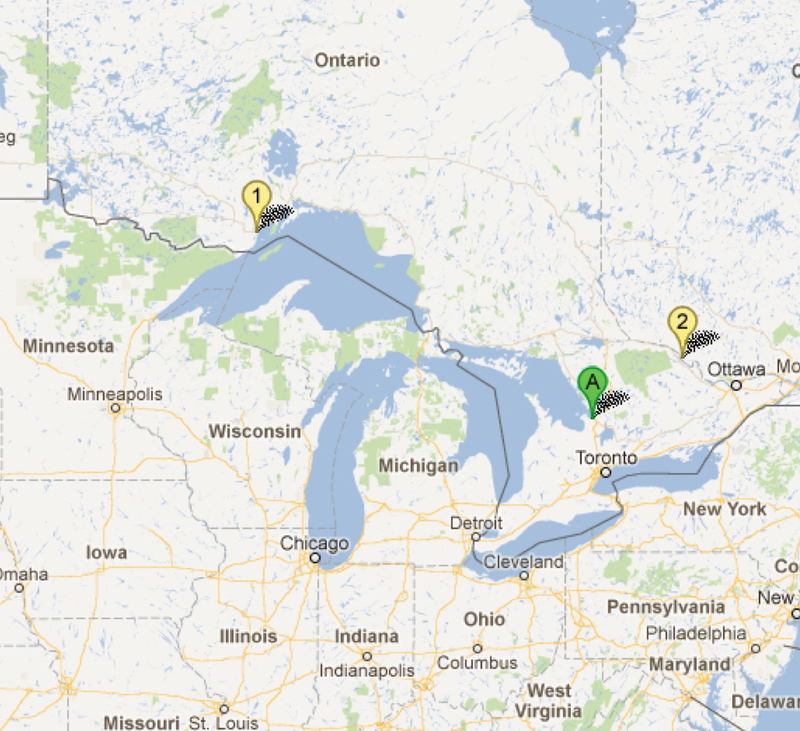 The ship is gone back to Ontario, Canada. I did not see the departure myself, but I got an e-newsletter from Saugatuck that the ship departed Saugatuck on May 31, 2012, for Port McNicoll in Ontario, Canada via Mackinac strait. 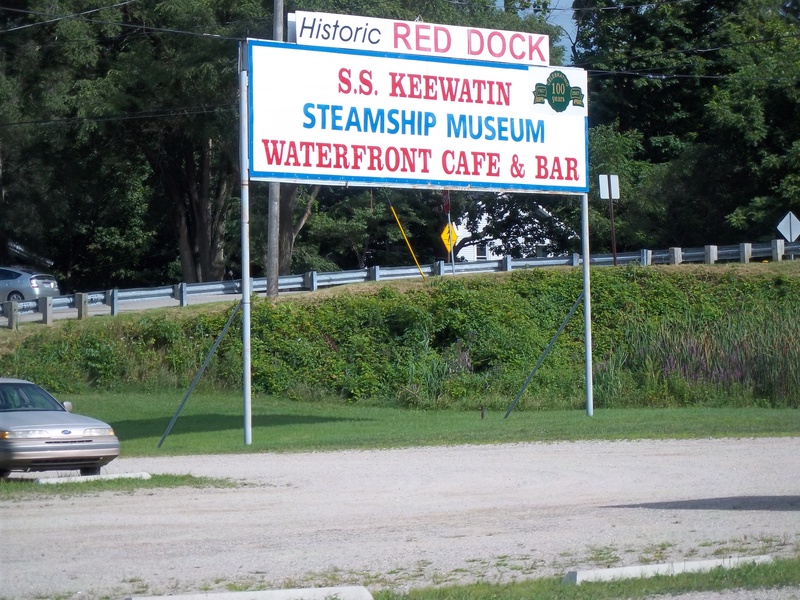 Port McNicoll was its original home port for SS Keewatin. The ship was in Saugatuck, Michigan for 45 years! SS Keewatin was built 104 years ago, when gigantic luxury passenger steamships like Titanic were popular. 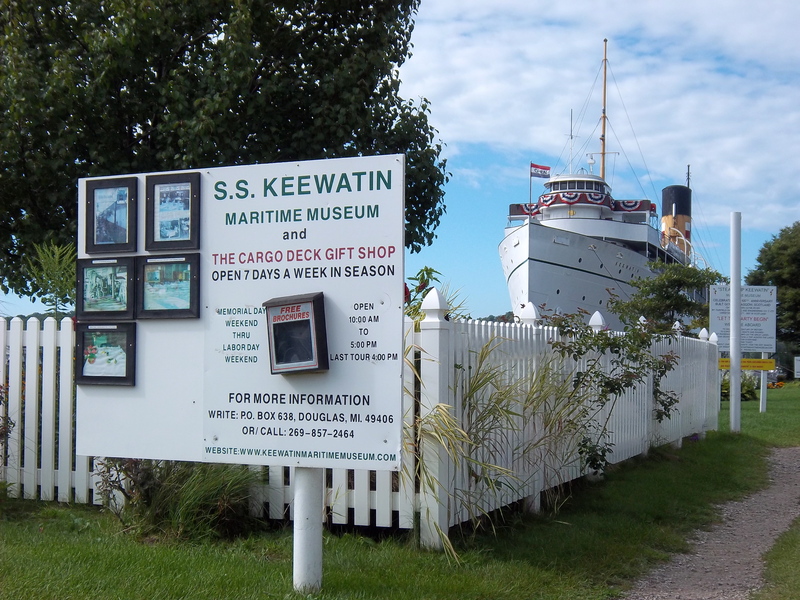 SS Keewatin will be completely renovated in Ontario and will become a maritime museum there. It was already a museum ship in Saugatuck (photo above). I should have been inside the ship if I had known it would be gone a few years later. When we went to Saugatuck for a weekend getaway, we stopped over there, but did not bother to pay to go inside the ship. 印A がPort McNicoll、 印 1が Port Arthur / Fort William. When England was under the reign of King Edward VIII from 1901 to 1914, it was popular among the wealthy people to travel by huge luxury passenger steamships. SS Keewatin was one them built during the Edward era. My husband’s late grandmother and great-grandfather were wealthy and went on a worldwide trip by a luxury ocean liner. When their ship stopped at Hawaii (in 1914) , the WWI broke out. They had to give up their trip and come home. S.S. Keewatin was built in 1907 by a shipbuilding company in Scotland, and ran between Port Arthur / Fort William (in northern Ontario, Canada) and port McNicoll (also in Ontario) for almost 60 years. I never knew that ships were going back and forth through Lake Huron and Lake Superior, carrying passengers and freights. And I never imagined one of the ships was quietly sitting in Western Michigan. When the ship was retired in 1966, a local couple in Douglas, Michigan, took a personal loan and bought the ship (how much money in the world did they borrow?). They restored it and opened it to the public for paid tours. So, the ship was saved by the couple from being scrapped. The Edwardian era passenger steamship which would have reminded us of Titanic is no longer in western Michigan…I will miss SS Keewatin. You will, too? This entry was posted in ソーガタック (Saugatuck) and tagged ミシガン湖, Edwardian era steamship, 船, 西ミシガン, 観光, 豪華客船, 近場, Great Lakes, Lake Michigan, ocean liner, passenger steamship, Vacation, Western Michigan, 五大湖. Bookmark the permalink.